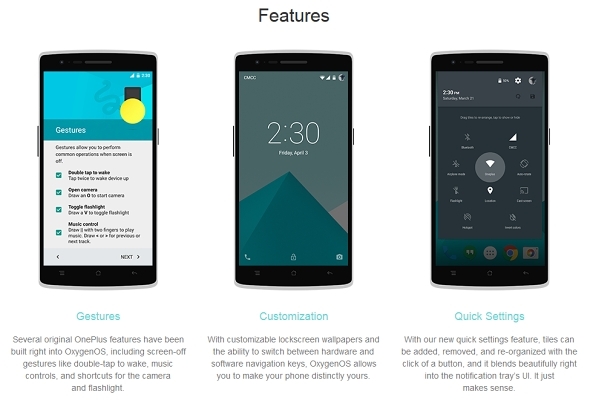 Many company releases custom based ROM for mobiles like Samsung TouchWiz,HTC Sense UI,Xiaomi’s MIUI.Now OnePlus One Custom Android based ROM OxygenOS is now available to download.It is based on Android 5.0.2 Lollipop,“Our goal for OxygenOS is to provide faster, more meaningful updates and a better-integrated range of services for every OnePlus user,” said OnePlus’ Carl Pei in a blog post.Pei said Oxygen OS will improve battery life for OnePlus “One performance and battery life over gimmicks and bloated features”. The Base version of Oxygen OS looks like stock Android,but there are a number of features that the OnePlus team added to give best UI.oxygen OS comes with gesture support, which available on Oppo’s Color OS and adopted on Cyanogen OS 11s. You can draw various gestures on the screen of the OnePlus One even in the screen turned off condition and we can quickly launch apps like the flashlight or camera. 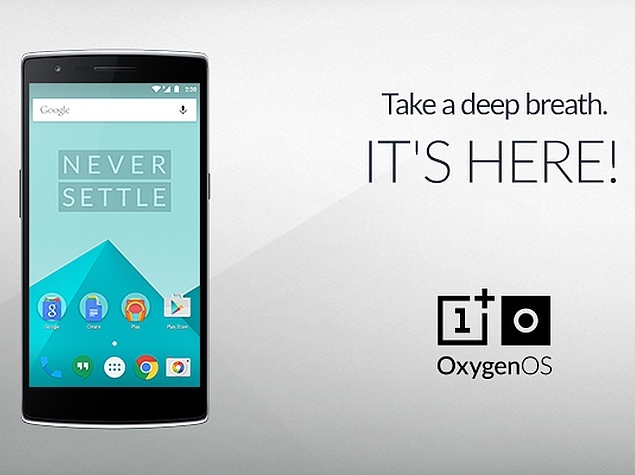 Oxygen OS also comes with a file manager,and with customizable lockscreen wallpapers and switch between capacitive and on screen navigation keys.Oxygen OS is now available for download from OnePlus One, with full installation instructions available. If you want to help, you can provide feedback by downloading and installing https://forums.oneplus.net/threads/oxygenos-is-here-installation-guide.289398 .